What does it mean to be educated? How much knowledge, in what areas, are you required to have? The question changes drastically depending on time period, geographic location, gender and class. With such variable answers, books that are meant to give their intended readers a complete education can also provide a window in what being learned meant to certain times, places, and situations. A small, brown volume here at Burns Library, to which some prior owner carefully affixed the label “Ladies Instructor 1778,” gives one answer to the question of what comprises an education. Bound in this volume are two books: Mentoria, or, The Young Ladies Instructor in Familiar Conversations on Moral and Entertaining Subjects Calculated to Improve Young Minds, in the Essential, as well as Ornamental parts of Female Education, and its sequel, The sequel to Mentoria or, The Young Ladies Instructor: In Familiar Conversations, on a Variety of Interesting Subjects, in which are introduced, Lectures on Astronomy and Natural Philosophy, expressed in terms suited to the comprehension of Juvenile Readers. Burns Library’s copy of Mentoria, or the Young Ladies Instructor … and its sequel. On 23 April 1916, the British academic Israel Gollancz published A Book of Homage to Shakespeare, a beautifully produced volume that gathered poems and essays to celebrate the 300th anniversary of Shakespeare’s death. It’s an impressive volume, including contributions from major British writers such as Galsworthy, Kipling and Hardy – but it also did much to invent what we might now call ‘Global Shakespeare’ by featuring work not just in English but in Hindi, Urdu, Afrikaans, French, Russian and many other languages. Hyde, Douglas. “Rud Thárla do Ghaedheal ag Stratford ar an Abhainn (How it fared with a Gael at Stratford-on-Avon)” in A Book of Homage to Shakespeare, edited by Israel Gollancz. Oxford : University Press, H. Milford, 1916. This week we feature a guest post from a visiting researcher, Dr. Pádraig Ó Liatháin, Assistant Professor at Fiontar & Scoil na Gaeilge, DCU. Dr. Ó Liatháin has been working extensively with one of our Irish language manuscripts. This book was wrote by Charles Gallagher for the Instruction and Improvement of the Ignorant in letting them know the Various Revolutions, and Memorable Transactions, and Warlike Atchievements, that was performed by Our Illustrious and Unparallelld ancestors: So that it might awaken them from their lethargy, and illuminate their Understanding: so as to follow their footsteps in that which landed to Virtue, and to Shun that which bore the affect of Vice, which is the Ardent Wish of your Ever Devoted Friend. 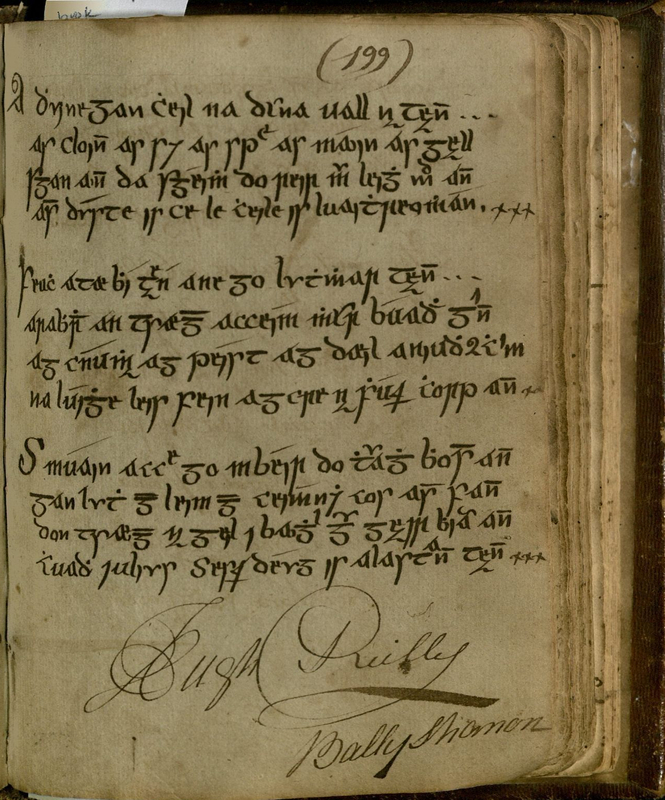 &c.
This fascinating manuscript was obtained by Boston College in 2012, one of 14 Irish Gaelic manuscripts in the John J. Burns Library, mostly dating from the 18th and 19th centuries. Written on white pa with a brown cover, with page measurements varying between 20 x 16 cm or 19 x 14.5 cm, most of the manuscript is paginated from 1-278, although further pages follow, and there are loose leaves in addition. The Gallagher manuscript appears, by all internal evidence, to have been commenced in County Donegal in the second half of the 18th century, and brought to New York City sometime in the late 18th or early 19th century. The last verifiable date takes us across several generations to the 1890s. Page 199 of the manuscript shows Hugh Reilly’s signature and “Ballyshannon”. Gallagher Family Commonplace Book. In the current age of seemingly endless blockbuster superhero franchises, it’s always fun to look back on some of our favorite superheroes’ retro looks. However, for those interested in American Studies, using comic books and their contents as cultural artifacts gives us snapshots of historical, political, and cultural moments in 20th century America. The advertisements, coupons, and promotional specials found among each comic’s story panels are can give us clues about the interests and consumer habits of the issue’s contemporary readers. The Burns’ Edward Kane Comics Collection, donated by Boston College Professor of Finance Edward Kane, consists of more than 11,000 issues of comic books. American superhero comics are divided into four eras based on their date of publication: the Golden Age (1938-1956), the Silver Age (1956-1970), the Bronze Age (1970-1985), and the Modern Age (1985-present). With issues ranging from the 1940s-early 2000s, the Edward Kane Comics Collection includes comics from DC, Marvel, and other publishers. In September 1963, Marvel Comics released The Avengers #1, created by writer Stan Lee and artist Jack Kirby. Almost 60 years later, the series has generated over 650 issues in eight volumes as well as several spin-off, limited-series, and one-shots, and graphic novels. [Cover Page of Avengers Annual #7. Editor: Archie Goodwin. Completed by: Joe Rubinstein, Tom Orzechowski, Petra Goldberg, and Jim Starlin.] Burns Library, Edward Kane Collection, Avengers Annual, 1977. 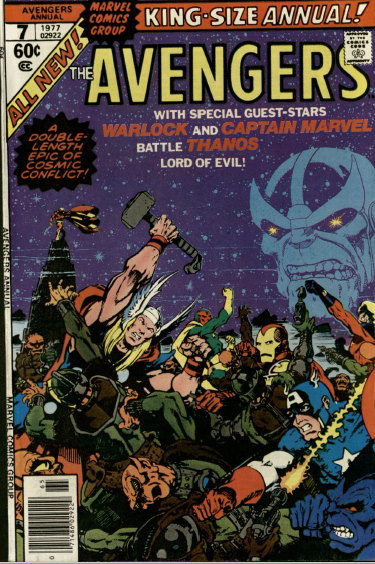 Marvel Battle Thanos Lord of Evil!” Under editor Archie Goodwin, this issue was completed by Joe Rubinstein, Tom Orzechowski, Petra Goldberg, and Jim Starlin. Comics produced in the Bronze Age (1970-1985) retained archetypes and conventions of the previous Silver Age, but gradually shifted into the darker and more complex storylines which eventually defined comics produced in the subsequent Modern Age. Several plots found in Bronze Age comics responded to rapidly changing youth culture, advances in technology, and socio-political and racial tensions increasingly consuming national attention. This is the fifth in a series of seven blog posts highlighting and summarizing important events in Irish history and Burns Library resources which aid in further study of the topic. 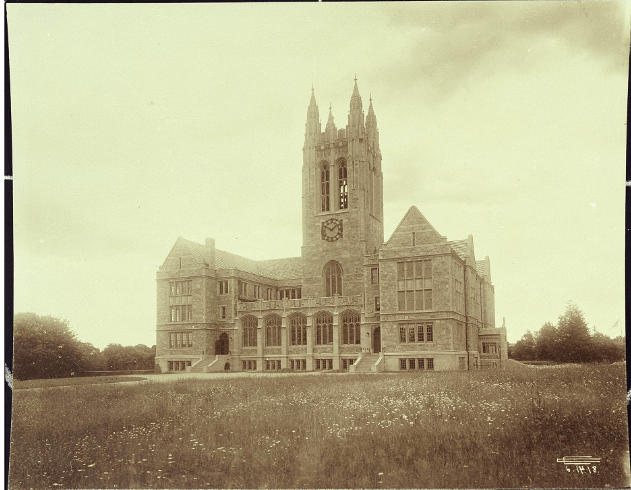 Burns Library holds many Irish history resources and is an invaluable resource for scholars in this field. This post focuses on Catholic emancipation in early 19th century Ireland. Catholic emancipation would remove the final legal restrictions against Catholics, allowing Catholics to serve in government office and vote. These restrictions were the last vestiges of the Penal Laws imposed on Irish Catholics in the late 17th century to mitigate Catholic power and influence in Ireland. 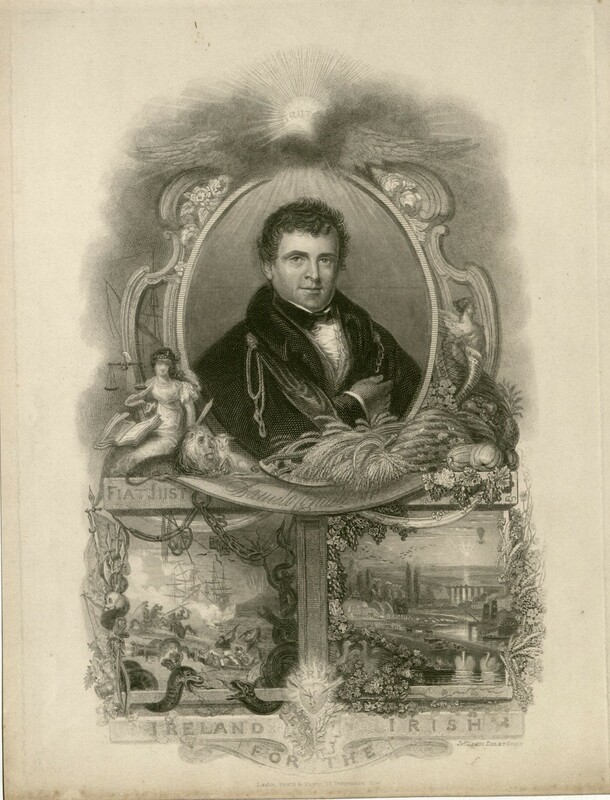 Burns Library holds many monographs focusing on Catholic emancipation itself and Daniel O’Connell, a main figure in the emancipation efforts. We hold several sets of volumes of O’Connell’s correspondence and speeches as compiled by historians, one of whom, W.J. FitzPatrick, claims that “the secret thoughts and acts of one who played a part so important cannot be without interest to the reader, or value to the historian.” (FitzPatrick 1888, 6) Burns Library also holds a number of original letters written by Daniel O’Connell in the Daniel O’Connell Collection as well as books he owned. 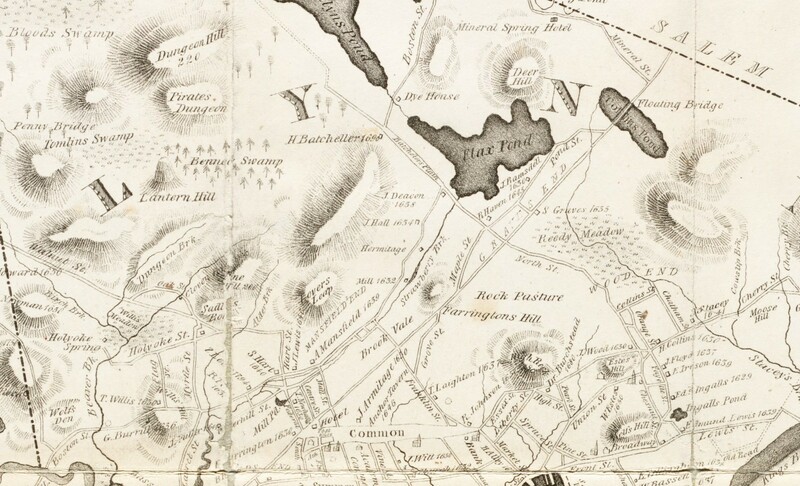 Detail, showing home sites of the Mansfield and Ransdell families along the Boston to Salem turnpike in Lynn, Massachusetts. Lewis, Alonzo, and Eddy, James. “Map of Lynn and Saugus.” Map. 1829. Norman B. Leventhal Map & Education Center (accessed February 21, 2019). Archival records provide evidence of a moment in time. Contextual information about the place, time period, and people can serve as a guidance, but often records show only one small piece of a larger puzzle. They can raise as many questions as they answer. One prime example of this is a document from Burns Library’s Authors Collection (MS1986.087) which provides insight into colonial Massachusetts, but leaves just as much in need of further investigation. Lynn, Massachusetts was settled by English colonists about 1630. In the colonial era, it comprised an area including what is now Lynnfield, Nahant, Saugus and Swampscott. Lynn has a long history as a center for shoemaking. Springtime at Boston College is almost magical. The bitter cold and looming darkness that cast over the winter months melt away into the season of warmth and renewal. The howling winds on the Heights calm to a mild spring breeze that blows with the promise of summer. New life sprouts from the trees lining Linden Lane, the ground gives way to flowers and plants, and students bask in the forgotten sun after a long winter of hibernation. With the arrival of every Spring, we are reminded of the majestic beauty of our University, the architectural uniformity of the buildings, and the landscape that compliments them. Spring also serves as a reminder of those who made our beloved institution what it is today.